Chris Hemsworth prepares for more peace-keeping as Thor. After spending most of “Thor: The Dark World” roaming the various realms of Asgard, the titular character arrives on Earth with girlfriend Jane Foster and heads to the London apartment she shares with her intern Darcy and her colleague Dr. Erik Selvig. Jane rushes in excitedly as Thor steps in behind her, with less enthusiasm, before hanging his hammer on the empty hook of a coat rack. It’s in this brief moment, and similar moments, where “Thor: The Dark World” finds so much unexpected charm. The film never gets sidetracked by gags, but screenwriters Christopher Yost, Christopher Markus, and Stephen McFeely rarely miss an opportunity to insert an impeccably-timed joke. Whether it’s Darcy shouting out “Meeu-Meuuuuu!”, her mispronunciation of Thor’s hammer, Mjolnir, during a climactic scene that appears to pay a quick homage to “The Rocky Horror Picture Show”, or an unexpected cameo (or two), “Thor: The Dark World” finds an astute balance between taking itself seriously and engaging levity. Most of the cast of “Thor” return in varying levels for the sequel, however Alan Taylor (“Game of Thrones”) sits in the director’s chair after Kenneth Branagh successfully brought the character to the big screen for the 2011 predecessor. Taylor and the writing team have found the perfect amount of lightheartedness for their film, something that is still surprising considering the film has the word “Thor” in the title. The humor is its secret weapon, popping up throughout, but the sequel succeeds as a result of a compelling story, a strong cast (chief among them, Tom Hiddleston, reprising the role of Thor’s mischievous brother Loki), and an exhilarating finale set all across London. Similar to the original, the film opens with Odin narrating a flashback of an ancient war between the Dark Elves and the Asgardians. Lending the proper gravity to the story, Anthony Hopkins as Odin explains how the evil Dark Elf Malekith has searched for an all-powerful energy known as the Aether. Wielding this substance means, as you might guess, that everything in the universe will go to Hell in a hand basket if it falls into the wrong claws. Though the villain originally failed, Malekith and his surviving army have remained in a state of suspended animation for several millennia, waiting for the day the Aether is unearthed. We return to the present to find lovelorn Jane Foster, played again by Natalie Portman, searching for romance but still pining for her Asgardian prince, Thor. It’s been three years since Jane has seen him and we catch up with her on a date with the reliably funny Chris O’Dowd, who just isn’t finding sparks with Jane as they awkwardly make the smallest of talk during their first dinner date. Jane is pulled away by Darcy, who has come upon a strange phenomenon in London in which gravity is going topsy-turvy. Jane is transported to a mysterious realm where she is infected with the Aether, which also causes Thor to come to her protection. Malekith awakens and attacks Asgard in an effort to kidnap Jane for the power that resides within her. After the villain makes a tragic strike, he retreats, leaving the kingdom defenseless and Thor emotionally destroyed. The hero’s only option is to escape with Jane, and accompanied by Loki, for a surprise strike against Malekith. This leads Thor and Jane back to London for a final battle with the powerful Dark Elf. Director Alan Taylor keeps the story moving along at a skillful pace, working from a script that is more layered with plot than standard superhero films. The film may not be groundbreaking, but Marvel Studios has been successfully producing films that feature more than by-the-numbers hero-versus-villain plots. In “Thor: The Dark World”, Taylor presents a satisfying adventure story which proves that there are more stories to be told in the expanding realms of Asgard. 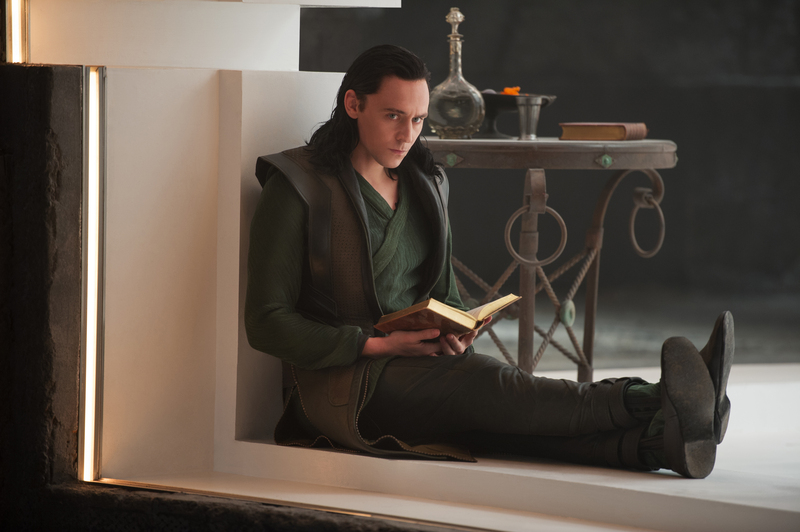 To the benefit of “Thor: The Dark World”, Hiddleston reprises his role as Loki. The inclusion of Hiddleston as Loki, after starring roles in “Thor” and 2012’s “The Avengers”, is as welcome as ever. Here he plays the suffering black-sheep who believably helps his brother attempt to take down their common enemy. Hiddleston walks the very fine line of playing the role colorfully without ever becoming too cartoonish. The actor understands when a scene calls for subtlety, such as when he receives devastating news but scarcely registers emotion except to turn around to grieve. The chemistry between Hiddleston and Chris Hemsworth (as Thor) feels thoroughly genuine after three films, lending more magnitude to all of their scenes. Hemsworth is terrific again as Thor, still managing to be a dominant physical presence, but constantly able to move comfortably from the lighter elements of the story to those that call for the actor to expose something more grave. Hemsworth finds the humanity in Thor while still embodying the character we know from the comics. Portman is pleasant and charismatic as Jane Foster, and it’s refreshing to be treated to a love interest role such as this where the woman isn’t relegated to “damsel in distress” status. Portman has the chops to bring something more authentic to her role and she does. Jane is central to the story, from beginning to end, and her part in the film never comes off as obligatory. Instead, Jane remains an integral part of the action. While still not enough, the film features somewhat larger parts for two of its stronger cast members: Idris Elba (as Heimdall) and Rene Russo (as Frigga). Unfortunately, the most problematic thing about “Thor: The Dark World” is in its villain, Malekith (played coldly by Christopher Eccleston). He’s the sort of villain who postures, says very little, and causes a great deal of destruction. Save a single truly despicable act, Eccleston doesn’t really get to do a whole heck of a lot that’s going to make audiences root against him. Considering said unspoiled act, there should have been a more dramatic encounter between Thor and Malekith by the conclusion of the film, outside of fisticuffs. However, for whatever shortcomings Eccleston has as a cinematic villain, Hiddleston is on hand to remind us what true malice is all about. Yost, Markus, and McFeely have created a story that feels just enough like a sequel, with its continuing plot threads from the first film, but this entry in the “Thor” franchise, like any good chapter in an ongoing series, stands well on its own. First time film director Taylor balances the humor, the drama, the romance, and the action of the film with grace. The film boasts a number of actions sequences, but the best include a well-choreographed escape from Asgard and a finale that has the cast teleporting across London at breakneck speed. This last action set piece has all of the elements of the requisite “big showdown”, but Taylor and his writing team are able to instill some great laughs that lend themselves naturally to this impossible situation. 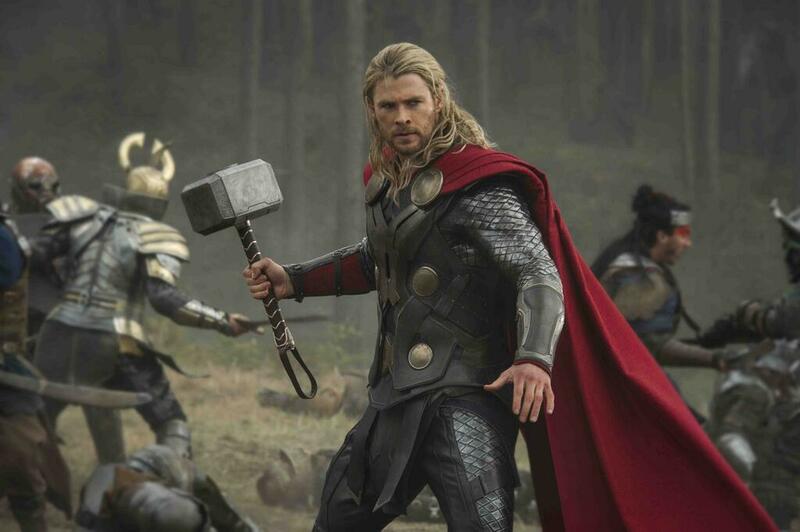 The success of “Thor: The Dark World” comes from a fresh story that doesn’t retread what’s come before it, its earnest relationships, romantic and otherwise, and enjoyable action sequences that transpire organically from the story. Above all these things though, the film succeeds thanks to its keen sense of humor.